The NEW Daniel Bryan will retain. 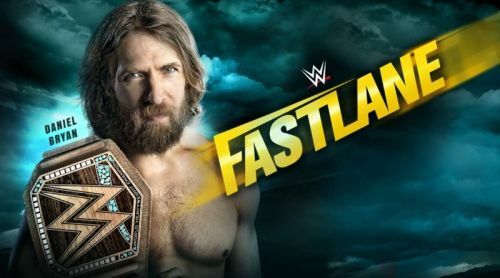 WWE Fastlane is as filler as filler gets when it comes to pay per views, and the card reflects this. Most of the matches on the card are uninspiring and not an incentive to watch the pay per view. The card again raises the question as to why this show is happening at all. There are eight matches on the card. Which ones should you go out of your way to watch? Which ones should you skip? We'll rank all eight in terms of how good they'll likely be right here. Whenever Asuka has a match against the latest blonde flavor of the week that Vince McMahon wants to push for no other reason, the results are usually dicey at best. Asuka is a pro and will get a decently worked match out of Mandy, but most people are just going to be watching and praying that she retains. This isn't an exciting match like the one with Becky Lynch was always going to be. Mandy Rose is simply far beneath that level and wouldn't make for a good champion. That thought will ruin the match for many people and prevent it from being an enjoyable experience. It's a shame that the first defense of the women's tag team titles comes in such an underwhelming match. Let's be thankful for one thing though, this means that the match won't happen at WrestleMania, as many people originally feared. Fortunately, Sasha Banks and Bayley will be there to carry the unexciting Nia Jax and Tamina. Sasha Banks, in particular, is great at taking bumps and should sell great for both of her opponents to tell a good story in the match.